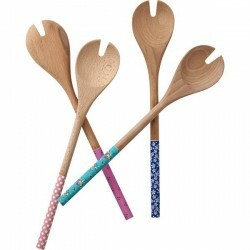 Wooden Slotted Salad Spoon by Rice with Printed Handle in 4 Assorted Designs. 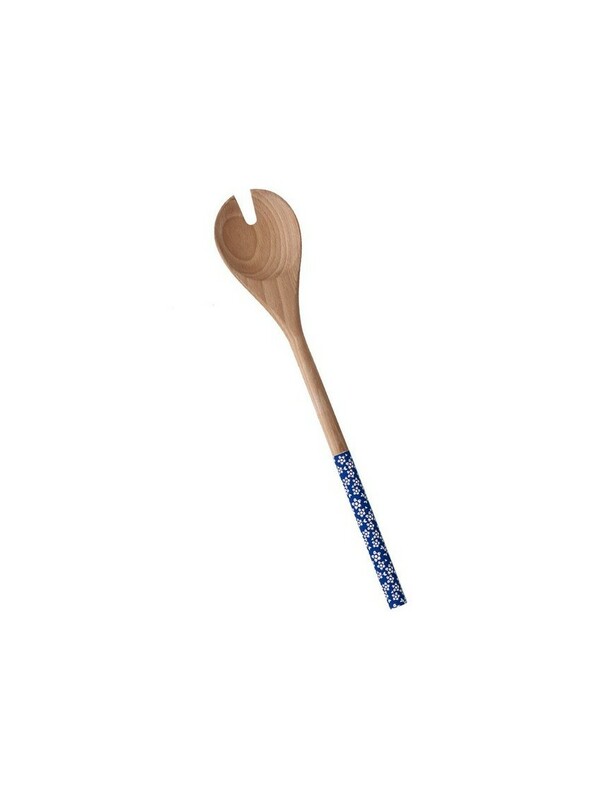 This is a lovely wooden painted salad spoon. Add a pop of color to your dining room table with this salad spoon. Makes the perfect housewarming gift! Perfect for serving - and can be used for cooking as well. Painted areas are sealed for durability and shine.